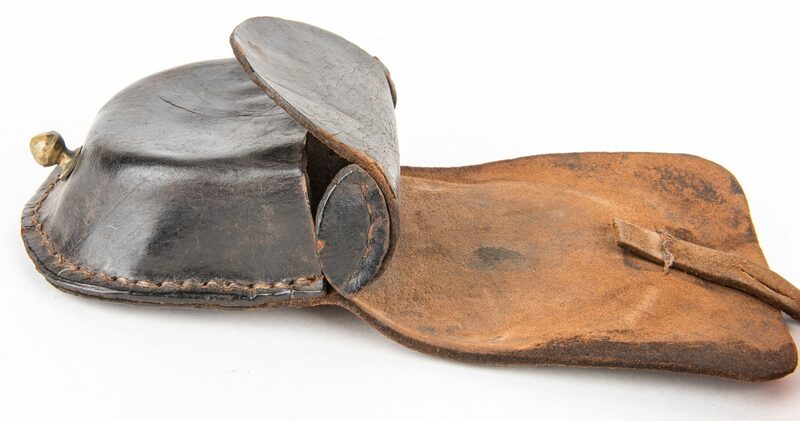 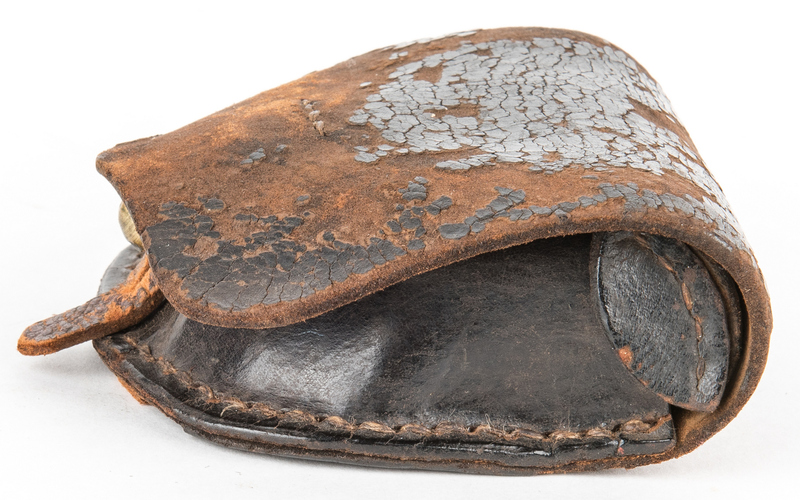 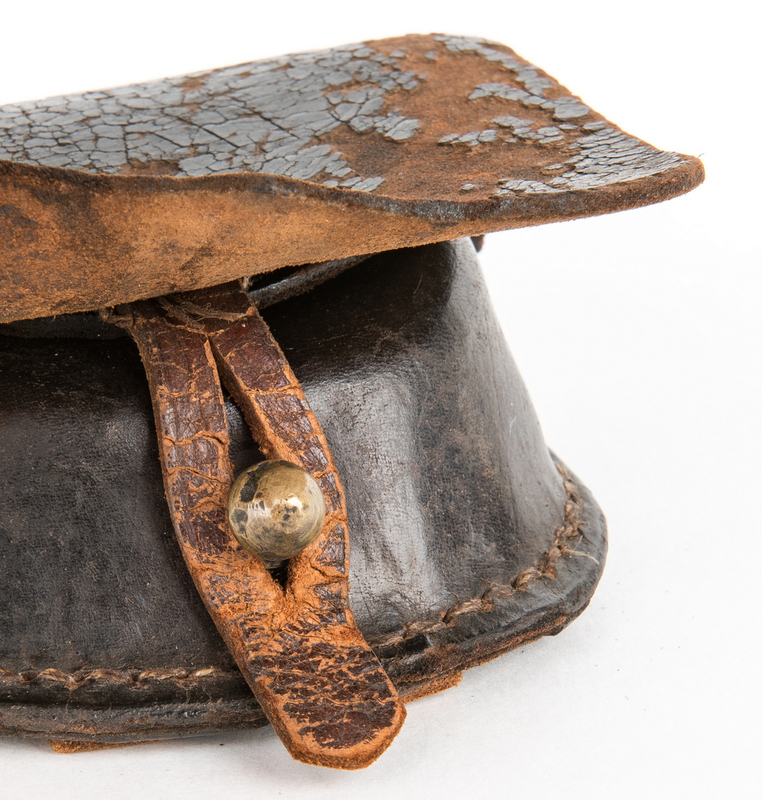 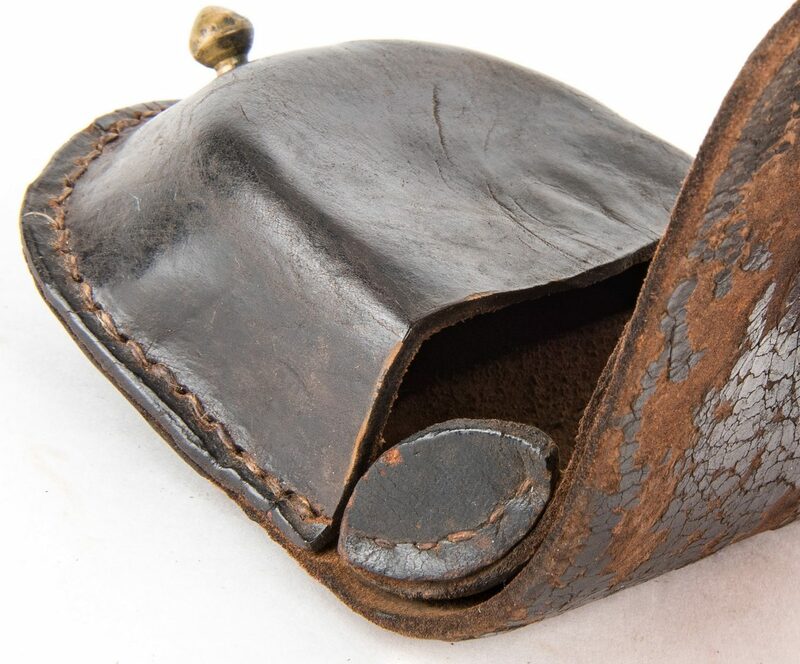 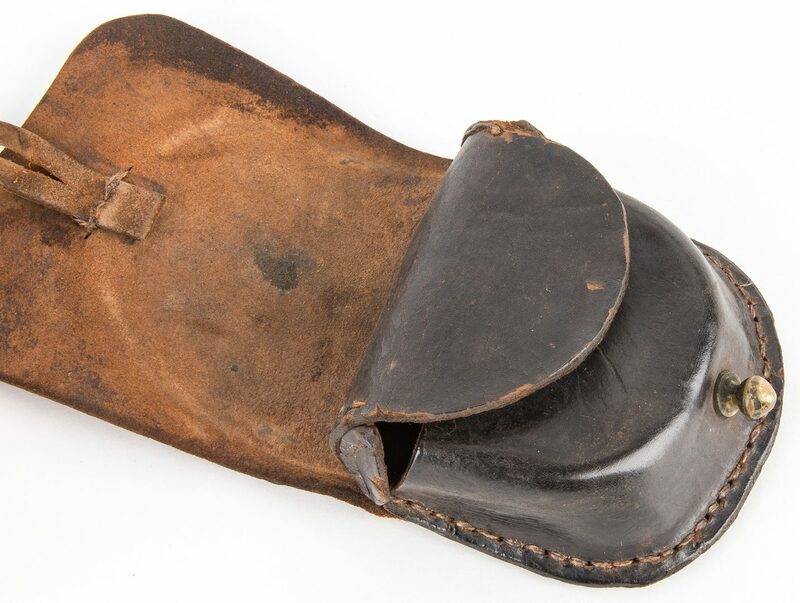 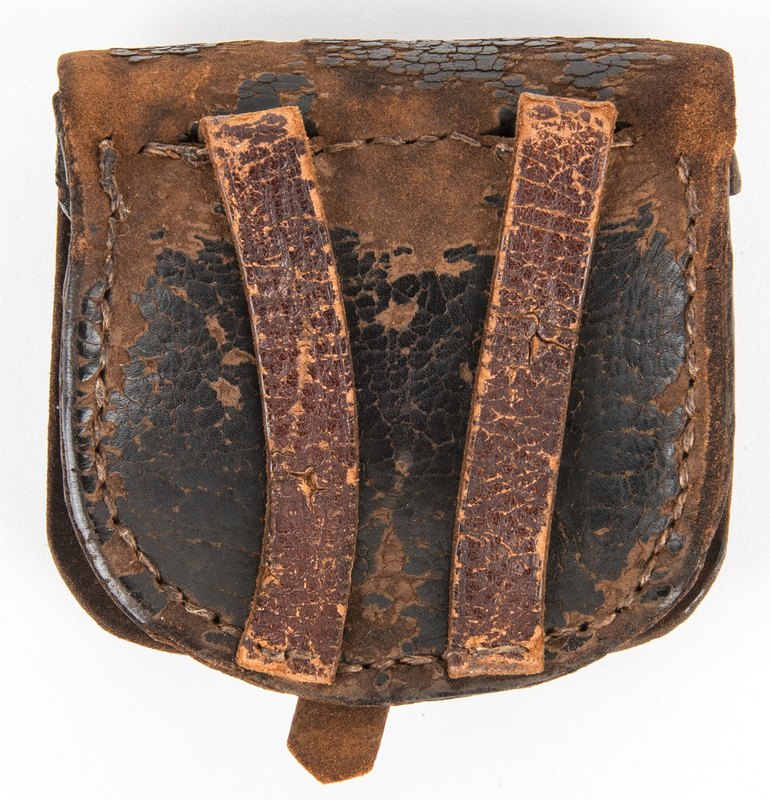 Confederate Arsenal Made Leather Cap Box. 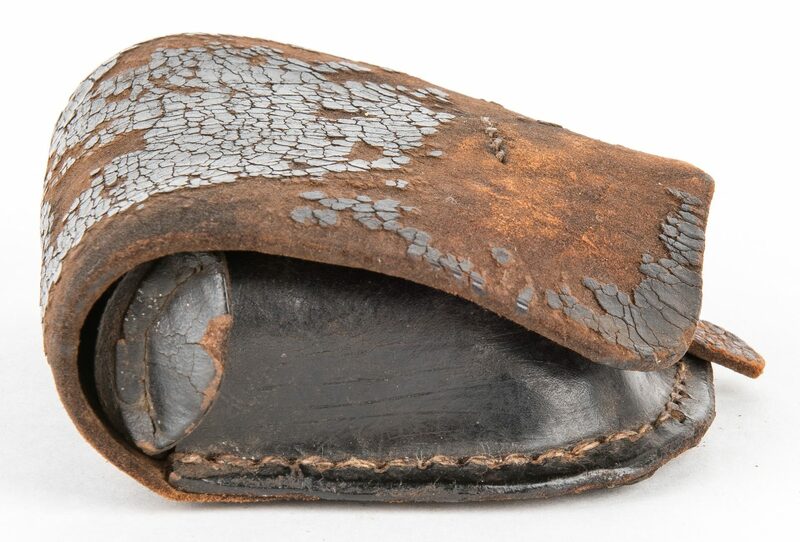 Brown leather, single stitched curved outer flap with lunate interior flap. 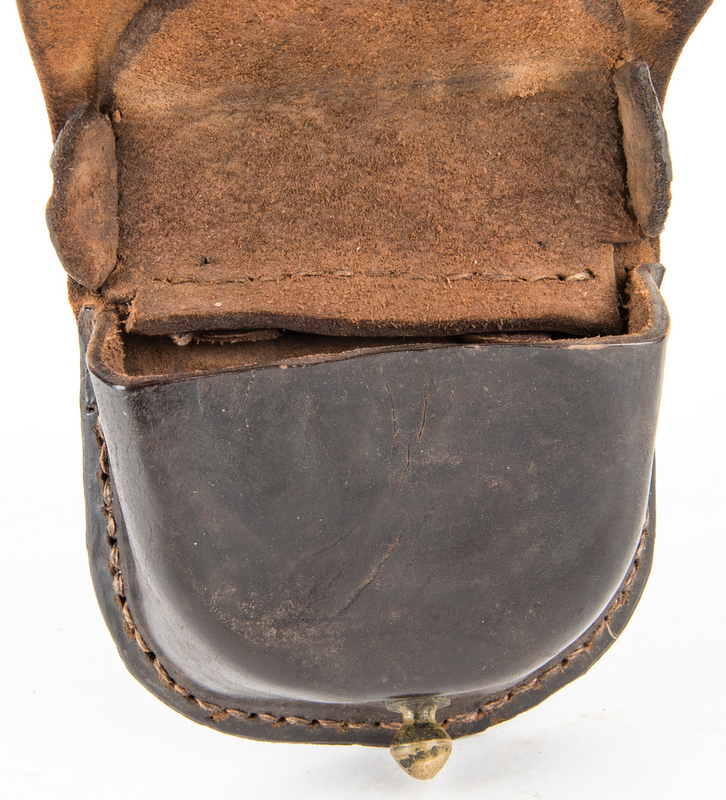 Includes brass finial, two belt loops, and closure tab. 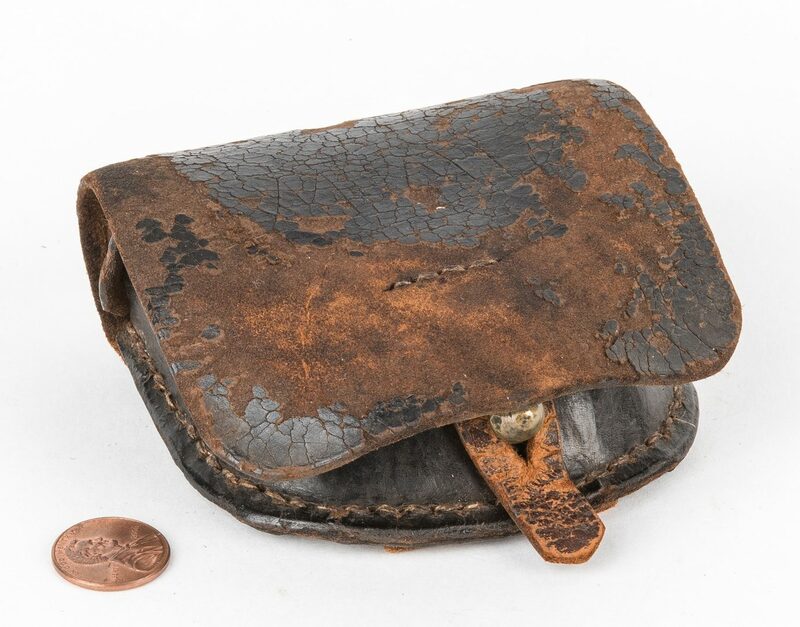 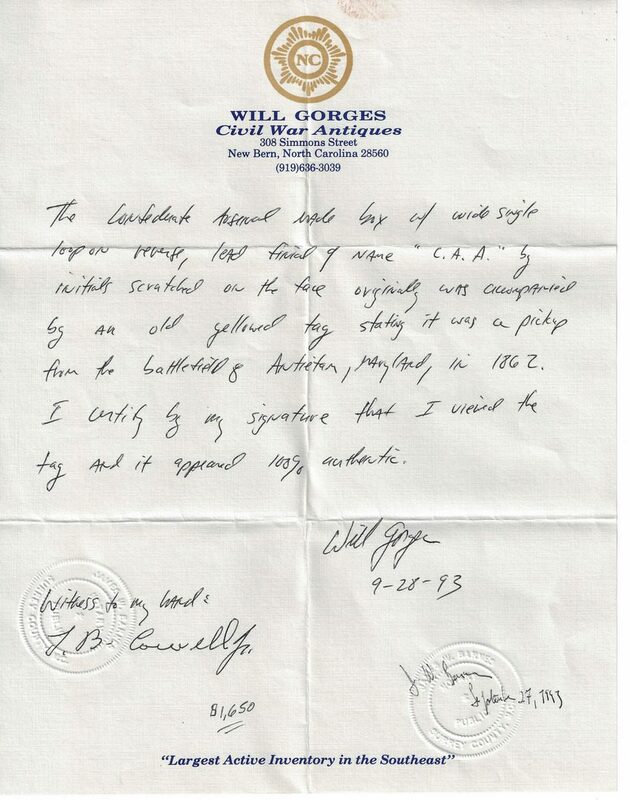 Also includes letter of authentication verifying that the cap box was picked up after the Battle of Antietam, Maryland in 1862 from Will Gorges, ISA Appraiser, dated September 28, 1993, and additional photographs. 3 3/4" H x 3 7/8" W x 1 3/4" D. Provenance: Estate of Jim Mackoney, Landrum, SC. 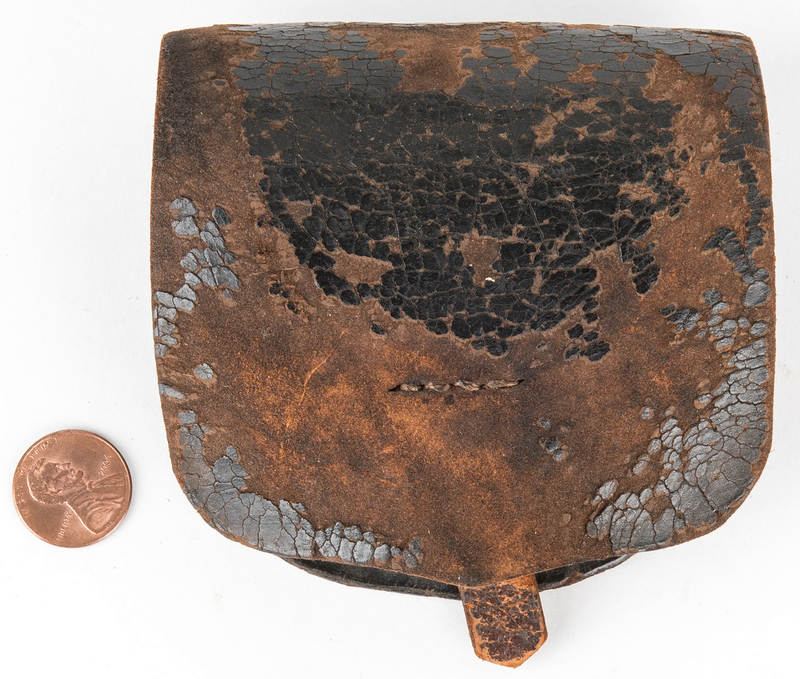 CONDITION: Areas of checkering, loss to leather, otherwise overall good condition.